A retired couple with Maryland roots and a beautiful California coastal home wanted their kitchen to embrace its natural surroundings while honoring the aesthetics of East Coast Colonials. 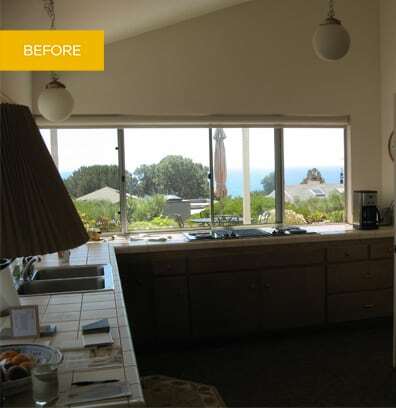 Strategic space planning was essential for this kitchen, which was moved to a part of the house that better captured ocean views and designed with three entrances for ideal access and circulation. Meticulous molding is just one of the architectural details that transforms the room from its original ranch house blandness to character-rich splendor. Peninsulas were added for prime storage and functionality in a room with limited wall space. Windows with authentic casing and nostalgic lighting over the island delineate the East Coast look. Mahogany floors, a wood countertop on the island and hard rock maple cabinetry with a painted alabaster finish evoke an East Coast mood. 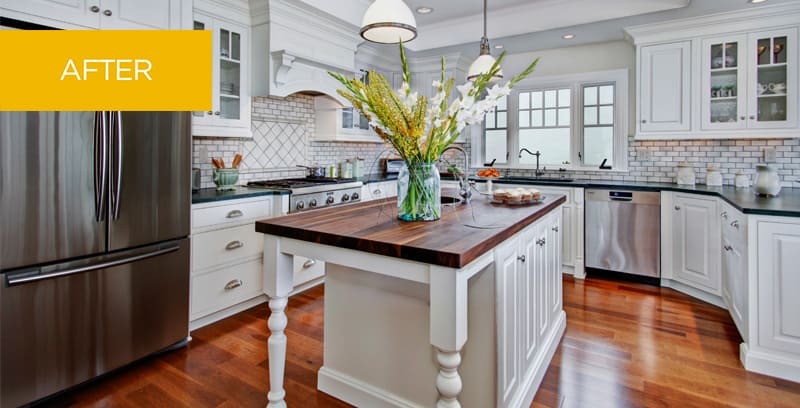 This kitchen is a refreshing interpretation of Colonial style on the California coast.